Posted on July 8, 2013	by Steven R. Cook, D.Min. Christianity, as it was spreading its gospel message of Christ and grace, posed a real threat to Saul’s religious tradition. Feeling that the church must be stopped, Saul sought permission from the Jewish high priest to search out and arrest Christians in Damascus, a city in Syria, in order to bring them to Jerusalem to be tried before Jewish courts. Little did Saul know that when he set his will against the church to attack it, he was attacking the Lord Jesus Christ Himself. Saul was completely caught off guard. The word “Lord” in Acts 9:5 translates the Greek word kurios and was most likely used by Saul as a synonym for God, as Saul probably knew this was a divine encounter due to the supernatural “light from heaven” that knocked him to the ground. In the OT, the proper name of God is YHWH—sometimes used with vowels as Yahweh—and is translated LORD, using all capital letters. When the Septuagint was written around 250 B.C.—the Greek translation of the Hebrew OT—the translators chose the Greek word kurios as a substitute for the Hebrew word YHWH. Though the word is sometimes used in the NT to mean sir (John 4:11; Acts 16:30), and master (Col. 3:22), it is also used to refer to the deity of Jesus Christ (compare Isa. 40:3 and John 1:23; or Deut. 6:16 and Matt. 4:7; cf. John 20:28; Rom. 10:11; Phil. 2:11). Surely Saul was surprised to learn that he was talking with the resurrected Lord Jesus. More so, by attacking the church, Saul learned he was attacking Christ Himself, who is the head of the church (Eph. 1:22-23). Jesus did not ask “why are you persecuting My church?” Rather, the Lord said “why are you persecuting Me?” At the moment of salvation, a believer is in union with the resurrected Christ, and when one attacks a Christian, it is an attack on the Lord Himself. Though there were men traveling with Saul, the divine encounter with the risen Lord Jesus was meant primarily for him. Rising from the earth, Saul realized “he could see nothing; and leading him by the hand, they brought him into Damascus” (Acts 9:8). 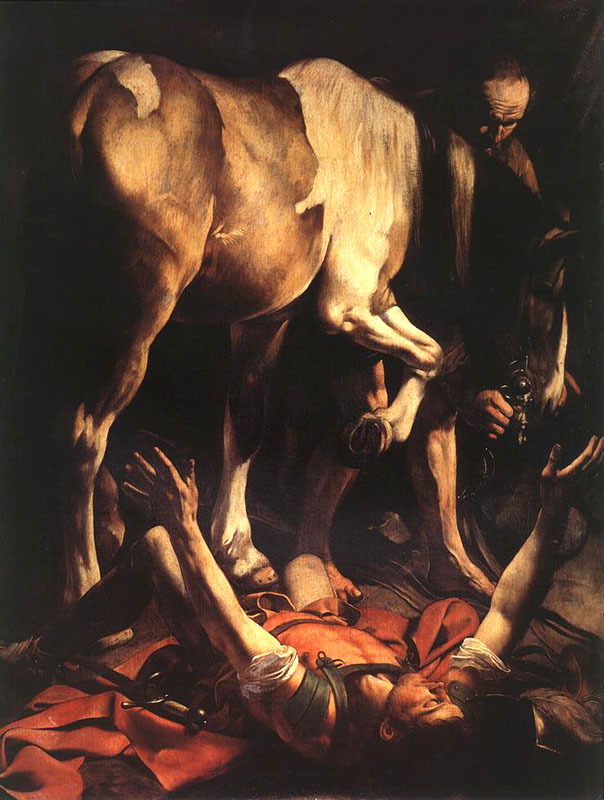 The brazen Saul who had originally rushed to Damascus on horseback, “breathing threats and murder against the disciples of the Lord” (Acts 9:1), ultimately reached his destination blind, on foot, and perhaps a little bruised from his fall. His cohorts led him like a helpless little child to the city he intended to crash with waves of violence. Once there, Saul “was three days without sight, and neither ate nor drank” (Acts 9:9). I suspect Saul was anxiously waiting for the Lord’s next instruction, since the Lord had commanded him to “get up and enter the city, and it will be told you what you must do” (Acts 9:6). Saul had come to Damascus to attack the disciples of the Lord (Acts 9:1); yet God’s grace was upon Saul, for it was through “a disciple at Damascus named Ananias” that God would heal Saul of his blindness and show him love he did not deserve. The Lord spoke to His servant Ananias and commanded him to “Get up and go to the street called Straight, and inquire at the house of Judas for a man from Tarsus named Saul, for he is praying” (Acts 9:11). This verse gives us the first glimpse into Saul’s background, for we learn that he was born in the city of Tarsus. More importantly, Saul was praying to the Lord at this time, seeking Him from the place where the Lord had brought him, a place of helplessness. 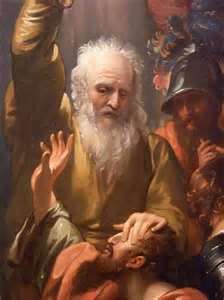 The Lord went on to reveal to Ananias that Saul had “seen in a vision a man named Ananias come in and lay his hands on him, so that he might regain his sight” (Acts 9:12). It’s interesting that God had given Saul a vision of something that was certain to happen, involving the volition of Ananias, even before the Lord had asked Ananias to go and lay hands on Saul. At first, Ananias offers fearful resistance to the Lord’s command. Ananias was genuinely afraid of Saul, citing previous acts of violence against Christians in Jerusalem, and stating that he had religious authority from the chief priests to persecute the Lord’s disciples even in Damascus (Acts 9:13-14). The Lord did not rebuke Ananias for his fears, but offered him kind reassurance. Here is divine revelation into the eternal counsel of God, who revealed to Ananias that Saul was His “chosen instrument” (Acts 9:15). The word chosen translates the Greek word ekloge which means to select for one’s own purpose. God chooses—or elects—to salvation (Acts 13:48; Eph. 1:3), spiritual blessing (Eph. 1:3-6), holy and righteous living (Col. 3:12; 2 Thess. 2:13; 1 Pet. 2:9), and service for the Lord (Jer. 1:4-5; Gal. 1:15-16; cf. Acts 9:15). Election is always the free choice of God, based on His sovereignty (Rom. 9:10-21), and never based of the worthiness of the object (Deut. 7:7-8; 1 Cor. 1:26-31; Rom. 9:11). God chose Saul, not because he was sweet and lovely and doing all the right things; rather, the Lord chose Saul in order to demonstrate His grace, His love and His power. As the “chosen instrument” of the Lord, Saul was to carry the Lord’s name “before the Gentiles and kings and the sons of Israel” (Acts 9:15). Thank God for His sovereign grace! The Lord assured Ananias … This man is My chosen instrument to carry My name before the Gentiles and their kings and before the people of Israel. Saul was to become Paul, the apostle to the uncircumcised (Rom. 11:13; Gal. 2:2, 7-8; Eph. 3:8), including kings (cf. Governor Felix [Acts 24:1-23], Governor Porcius Festus [24:27-25:12], King Herod Agrippa II [25:13-26:32], and possibly Emperor Nero [25:11]). The apostle, of course, also ministered to “the people of Israel” (cf. 9:20; 13:5, 14; 14:1; 17:2, 10, 17; 18:4, 19; 19:8; 26:17-20; Rom. 1:16). How amazing that the one who persecuted Christians so violently should himself be transformed into a witness of the gospel—and such a dynamic, forceful witness at that! Attached to Saul’s divine calling were the Lord’s words to Ananias, “I will show him how much he must suffer for My name’s sake” (Acts 9:16). The persecutor will now be the persecuted. Saul, who inflicted suffering on Christians, will now suffer as a Christian. Saul had the pronouncement of a lifetime of suffering from the very beginning of his call to ministry. Saul was no coward. He received the word of the Lord and accepted his commission to Christian service knowing fully it would be marked by a life of suffering wherever he went. Ananias went to the house of Judas where Saul was staying and spoke the words of the Lord to him, and Saul received his sight again, and after eating and visiting with the disciples for several days, “immediately he began to proclaim Jesus in the synagogues, saying, ‘He is the Son of God’” (Acts 9:20). Because of Saul’s conversion, “the church throughout all Judea and Galilee and Samaria enjoyed peace, being built up; and going on in the fear of the Lord and in the comfort of the Holy Spirit, it continued to increase” (Acts 9:30). Even though the church enjoyed peace for a while, not having to fear their greatest persecutor, the Lord’s new servant would begin his life of suffering for Christ. Saul, who eventually came to be known as Paul after Acts 13:9, would serve three missionary journeys for the Lord and share the gospel with many who would be saved. Paul’s missionary journeys started in Acts 13 in the city of Antioch and concluded in Acts 28 in the city Rome. Between these chapters, Paul experienced much persecution. Paul had personally received divine revelation from the Lord, and there was a real temptation that Paul might get prideful over having received such revelation, so the Lord gifted him with a “thorn in the flesh” to keep him humble and effective in ministry. It was unimportant for Paul to tell us what his thorn was, but rather that it kept him humble, which was his purpose in revealing his “thorn” to us. At first, Paul did not want his painful thorn, and even petitioned the Lord three times to take it away. God, in His great wisdom, denied Paul’s prayer request, informing Paul that He would give him the grace—or divine enablement—to cope with his new weakness. God loved Paul enough to give him what he needed, and the Lord needed Paul to be weak, so that he would learn to rely on the Lord and not himself. 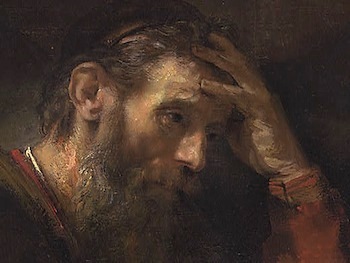 Paul’s pain kept him close to God. 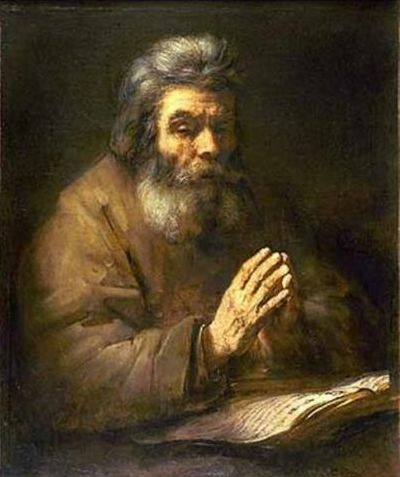 The wisdom and greatness of Paul is seen in his response to the Lord’s refusal to his prayer request, for Paul declared “most gladly, therefore, I will rather boast about my weaknesses, so that the power of Christ may dwell in me” (2 Cor. 12:9). Such declarations are contrary to human nature, since our first inclination is to complain about the things that cause us pain. However, we must fight against our human nature and live by faith, trusting God at His Word and believing that when He causes us to have pain—like He did with Paul—that it serves some purpose in us and benefits us as well as others. This requires faith. May we all learn to say with the apostle Paul, “I am well content with weaknesses, with insults, with distresses, with persecutions, with difficulties, for Christ’s sake; for when I am weak, then I am strong” (2 Cor. 12:10). Not every Christian will suffer for their faith. Certainly there are Christians whom the Lord has blessed with a life of peace and prosperity. However, when looking through Scripture as well as through history, suffering is more the norm rather than the exception. For the Christian, joy is not found in the absence of suffering, but in doing God’s will and being found pleasing in His sight. This requires biblical understanding and a lifetime of learning to walk in God’s truth (Phil. 4:11-13). This article is an edited excerpt from my book, Suffering: A Biblical Consideration (pages 91-117). Stanley D. Toussaint, eds. Walvoord & Zuck, The Bible Knowledge Commentary, Vol. 2 (Wheaton, IL: Victor Books, 1983), 377. This entry was posted in Suffering & Persecution and tagged Acts 9, Christian suffering, Damascus road, Paul's salvation experience, Paul's thorn in the flesh, suffering, suffering for Christ, the conversion of Paul, the conversion of Saul, the Damascus road experience, the suffering of the righteous, why do the righteous suffer. Bookmark the permalink. Absolutely outstanding article. Thank you for putting this into print. Very scholarly. I enjoyed your article on Paul’s suffering. Not only was Paul chosen in order that God could display His mercy, but Paul was also chosen because he had a background that was exactly suited to his mission. He was a devout Pharisee and had extensive knowledge of the Hebrew scriptures so that he could preach to the Jews, and he also knew the Greek language and culture and was a Roman citizen, so that he could preach to gentiles, and, ultimately to kings. It’s truly amazing when you think about God’s preparation of him for His use. I believe we can all be used as Paul was used and that He can use our background and experiences for His glory. it’s just a matter of how much of our own desires we are willing to give up (personal ambitions, cultural traditions, money, and sometimes marriage) for God’s service. I agree that we should expect persecution as Christians, and not enough is preached on this subject, especially to new converts who are most often taught, as you stated, to expect a life of sunshine and roses when we become Christians. But we also must remember that we don’t have to accept disease and sickness in our bodies which is a different issue than being persecuted for Christ’s sake. James tells us that if anyone is sick, let him go to the elders and be anointed with oil, …and the Lord will raise him up (heal him)! Isaiah also tell us that “by His stripes, we are healed.” We must remember that Jesus bore our sicknesses on the cross, and if that is true, it would be incorrect to assume that we must bear them ourselves. Christ paid the price for our physical as well as our spiritual healing, so let’s appropriate it! This brings glory to God. Hi Pam, thank you for your comments. I appreciate your words. Your integrity for the word of God and diligent studies are proving to benefit Christ’s church including myself. Keep doing what you are doing brother. I especially found this article as both biblically encouraging and comforting. As I only minutely relate to the Apostle Paul, I feel as though my own calling is one as well to suffer. Dealing with painfully disabling ailments, yet given gifts that are given for specific tasks I feel cannot be done in my condition, I find strength in the same grace that was sufficient for Paul. Eyes upon myself it is impossible to keep going, but eyes upon our Mighty God all things are possible. Thank you again for this encouraging article is has brought me new strength on a hard day that to the human eye seems meaningless and pointless but within the sight of the divine eye of our God and Lord Jesus I know is proving of such significant value. One day we will stand before our Lord and God and be in awe at work He has accomplished. Glory to our Lord and Savior Jesus who has laid down His life so that we could have ours. Thanks for your comments Joseph. I’m glad the article was helpful. Praying the Lord works in your life to be a blessing to others.